For those of you looking for a good alternative to Google Forms, JotForm is a great tool to start with. It allows you to easily create beautiful forms that you can share with others or embed in your class website or blog. It also provides a wide variety of themes and ready-made templates to utilize when building your forms. You can choose from over 2000 form templates that will help you jump start with your forms. The theme store features over 10 great looking themes and if you want to add your personal touch to the forms you create, JotForm is highlight customizable. 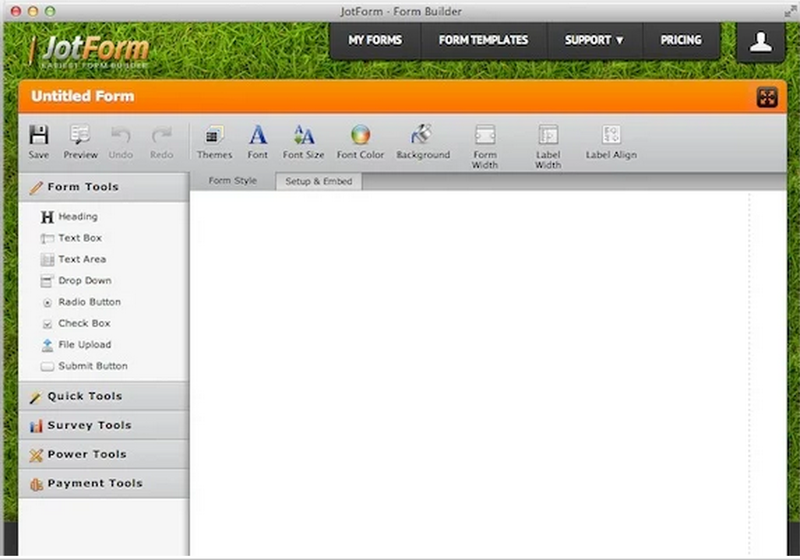 JotForm has an easy to use form designer. Using its drag and drop form builder you can create your forms in minutes. Some examples of the forms you can build include: Contact forms, application forms, payment forms, event registration forms, surveys, RSVP forms, reservations forms, donation forms, upload forms, feedback buttons, Facebook forms, volunteer signup forms, request forms, booking forms and many more. When someone completes one of your forms JotForm emails the responses to you instantly. 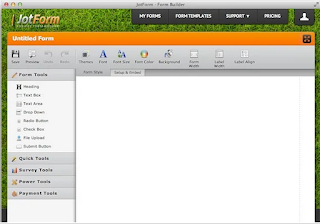 JotForm integrates seamlessly with Google Drive and Dropbox. The free version of JotForm provides some pretty decent features (e.g 100 monthly submissions, 100 MB space, unlimited forms, reports and fields per form).